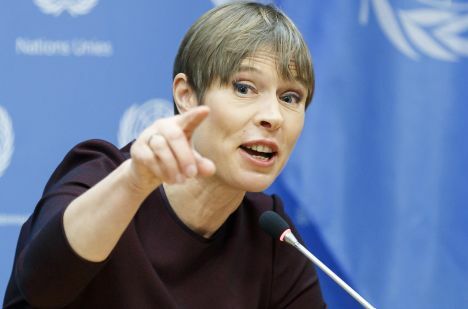 Estonian President Kersti Kaljulaid will pay a working visit to Russia, where a meeting with her Russian counterpart Vladimir Putin has been requested. Russian state news agency TASS reported that on Tuesday, April 2, the head of the Communication Department at the Office of the Estonian President, Kaidi Aher noted: «The schedule of President Kaljulaid’s visit to Moscow has not been approved as of yet, but an official request to meet with President Vladimir Putin has been sent». The office of President Kaljulaid reported that the last president to visit Russia was Toomas Hendrik Ilves in 2011, when he visited St Petersburg for the re-consecration of St. John’s Church. The primary goal of her visit to Moscow is, however, to open the renovated historical building of the Embassy of the Republic of Estonia. Lauri Kuusing, Foreign Policy Adviser to the President, commented that another objective of the visit is to acknowledge those people who daily stand for Estonia’s interests and the rights of our citizens at the frontline of foreign policy.